When I moved to Iowa from Florida in 2003 it was supposed to be a three months stop-over on my way to Chicago where I had been doing some freelance producing for a TV program. I never would have guessed it would be a ten year run. A run that included opportunities to shoot projects in Russia, Jamaica, South Africa, Hawaii, and Brazil. And eventually lead me to start a blog called Screenwriting from Iowa…and Other Unlikely Places. But a part of my Iowa chapter is closing this month. 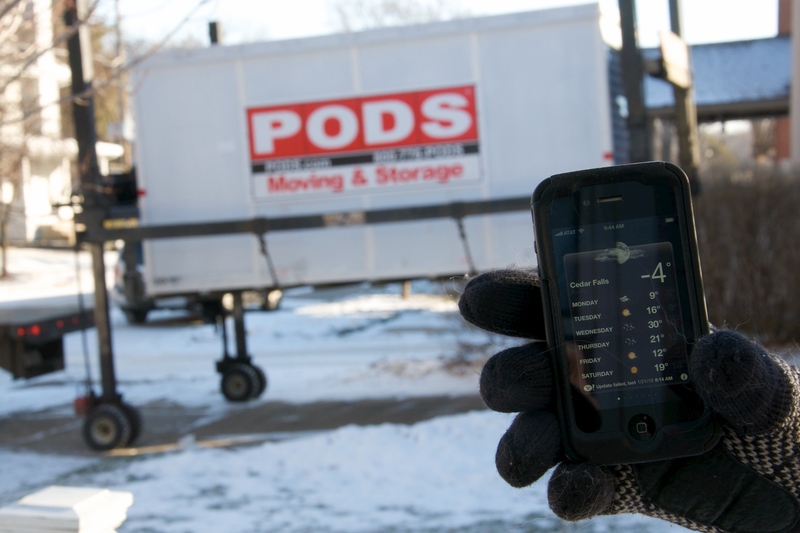 Earlier this week a moving POD left our driveway in -4 degree weather with most of our earthly belongings and headed south to Florida. I’m moving back to Central Florida where I’ve spent most of my life, but with a twist this time being based in Satellite Beach on the Space Coast, about an hour from Orlando. Here’s a photo of the back wall of my Cedar Falls, Iowa office before I packed it up. 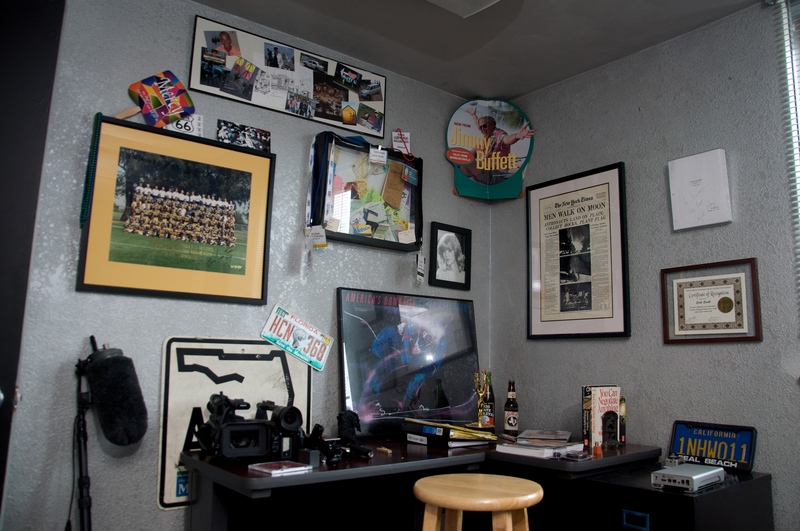 In that photo among other memorabilia you’ll see a Jimmy Buffett poster, an A1A sign, a Save the Manatee Florida Licence plate, and a framed original 1969 New York Times front page proclaiming MEN WALK ON MOON. On paper it might not look like the idea place to move my production company, but I will keep clients up here, have some long established clients in Orlando, and have another client who told me my close proximity to the Orlando International Airport would make it easier for him to fly me to various gigs. I have another production friend I’ve talked to about the option of sharing an office on the lot at Universal Studios—Orlando. Plus the greater Space Coast itself has more than five times the population where I currently live so I’d like to think that there’s room for an Emmy winning producer to build a base of local clients. This has been something I’ve contemplated for years and as much as I’ve always dreamed of living at the beach (aside from living three months in Seal Beach, California after graduating from film school) this will be my first opportunity to realize that dream. No risk, no reward—right? 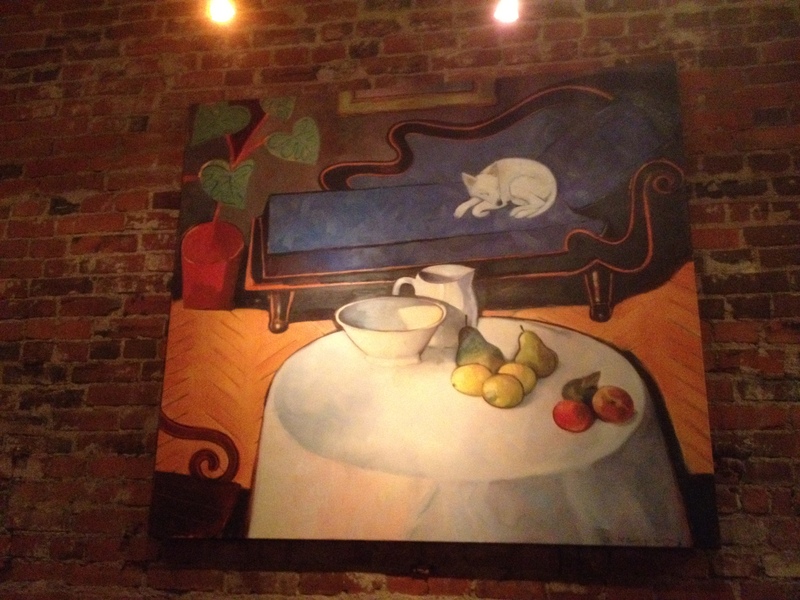 And I’m taking with me the first painting I’ve ever purchased—just picked up last weekend. This still life done by Cedar Falls artist Gary Kelley who I’m working on a new project with this spring called The Planets, Revisited. Friends have asked about what this means for my blog and the answer is simple—nothing. It’s called Screenwriting from Iowa…and Other Unlikely Places. I’ve always looked at Iowa as the quintessential metaphor for the last place you’d think of when you think of screenwriting. I have showed writers who developed their literary voice in Iowa, but as the digital age matures I enjoy seeing writers and filmmakers pop up in unlikely places everywhere. Places like Satellite Beach. But if the Space Coast can produce arguably the greatest surfer ever (Kelly Slater) in Cocoa Beach, plus build and launch a rocket that lands on the moon from Cape Canaveral—then some screenwriters coming from the area really doesn’t seem like a stretch. The area has already produced some compelling movies and TV programs. P.S. I am looking at donating as many as 200 books on screenwriting and filmmaking to a group in Central Florida so if you know a school, arts groups, creative coffee-house interested please contact me. God speed, Scott Smith…to the Space Coast and beyond. Thanks for creating within my ancestral state a healthy dose of insight, creative smarts, respect for all of us in flyover country, and a window to a fascinating world you’ve built and inhabit — as a writer and filmmaker. “Screenwriting from Iowa…” is an incredible achievement. Here’s hoping the next decade is even more robust! I’ll take them off your hands. I live in NJ. How much do you want? And NJ John—Thanks for the offer, but the books went down in the POD to Florida and the postage to ship them north would probably cost more than you could find the good ones used on Amazon. Besides I like the idea of giving them to an organization where a wide group of people can benefit from them. But if they sit in my garage long I may change my mind. Maybe a way to off-set the hard cost of setting up those ebooks I want to publish.